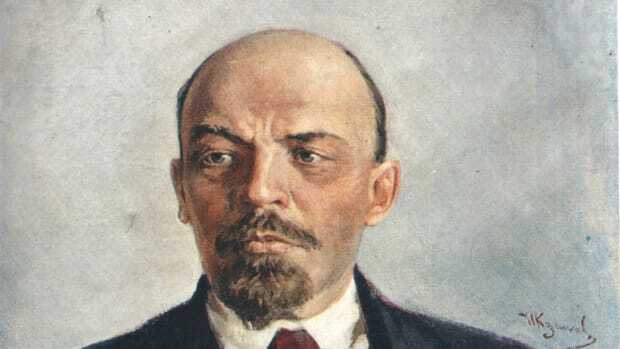 Vladimir Lenin was a Russian communist revolutionary and head of the Bolshevik Party who rose to prominence during the Russian Revolution of 1917, one of the most explosive political events of the twentieth century. The bloody upheaval marked the end of the oppressive Romanov dynasty and centuries of imperial rule in Russia. The Bolsheviks would later become the Communist Party, making Lenin leader of the Soviet Union, the world’s first communist state. Vladimir Lenin was born in 1870 into a middle-class family in Ulyanovsk, Russia. As a teenager, he became politically radicalized after his older brother was executed in 1887 for plotting to assassinate Czar Alexander III. Later that year, 17-year-old Lenin – then known as Vladimir Ilich Ulyanov – was expelled from Kazan Imperial University for taking part in an illegal student protest. After his expulsion, Lenin immersed himself in radical political literature, including the writings of German philosopher and socialist Karl Marx. In 1889, Lenin declared himself a Marxist. He later finished college and received a law degree. Lenin practiced law briefly in St. Petersburg in the mid-1890s. He soon was arrested for engaging in Marxist activities and exiled to Siberia. Lenin later moved to Germany and then Switzerland, where he met other European Marxists. During this time, he adopted the pseudonym Lenin and established the Bolshevik Party. Russia entered World War I in August 1914 in support of the Serbs and their French and British allies. Militarily, imperial Russia was no match for modern, industrialized Germany. Russian participation in the war was disastrous: Russian casualties were greater than those sustained by any other nation, and food and fuel shortages soon plagued the vast country. Lenin advocated for Russian defeat in World War I, arguing that it would hasten the political revolution he desired. Hoping that Lenin could further destabilize their foe, the Germans arranged for Lenin and other Russian revolutionaries living in exile in Europe to return to Russia. When Lenin returned home to Russia in April 1917, the Russian Revolution was already beginning. Strikes over food shortages in March had forced the abdication of the inept Czar Nicholas II, ending centuries of imperial rule. 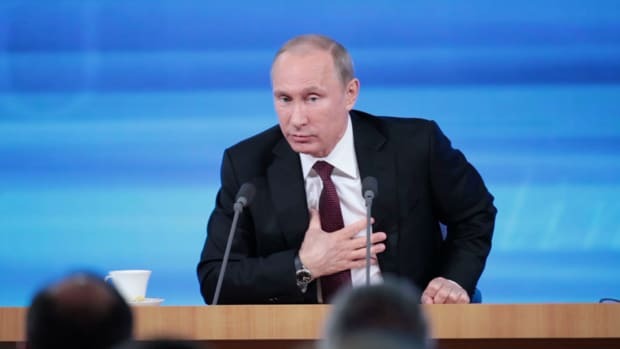 Russia came under the command of a Provisional Government, which opposed violent social reform and continued Russian involvement in World War I. By fall of 1917, Russians had become even more war weary. Peasants, workers, and soldiers demanded immediate change. 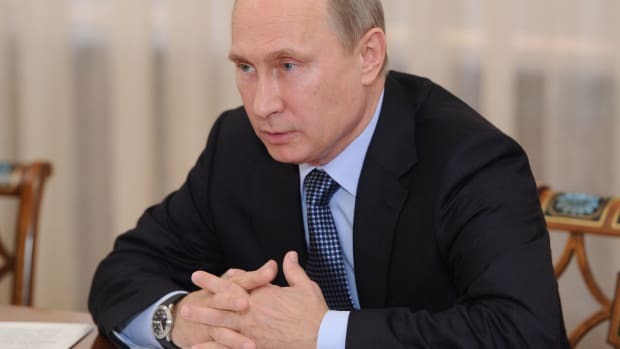 Lenin, aware of the leadership vacuum plaguing Russia, decided to seize power. He secretly organized factory workers, peasants, soldiers and sailors into Red Guards – a volunteer paramilitary force. On November 7 and 8, 1917, Red Guards captured Provisional Government buildings in a bloodless coup d’état. The Bolsheviks seized power of the government and proclaimed Soviet rule, making Lenin leader of the world’s first communist state. The new Soviet government ended Russian involvement in World War I with the Treaty of Brest-Litovsk. The Bolshevik Revolution plunged Russia into a three-year civil war. The Red Army – backed by Lenin’s newly formed Russian Communist Party – fought the White Army, a loose coalition of monarchists, capitalists and supporters of democratic socialism. During this time, Lenin enacted a series of economic policies dubbed “War Communism.” These were temporary measures to help Lenin consolidate power and defeat the White Army. Under war communism, Lenin quickly nationalized all manufacturing and industry throughout Soviet Russia. He requisitioned surplus grain from peasant farmers to feed his Red Army. These measures proved disastrous. Under the new state-owned economy, both industrial and agricultural output plummeted. An estimated five million Russians died of famine in 1921, and living standards across Russia plunged into abject poverty. Soon after the Bolshevik Revolution, Lenin established the Cheka, Russia’s first secret police. As the economy deteriorated during the Russian Civil War, Lenin used the Cheka to silence political opposition, both from his opponents and challengers within his own political party. But these measures did not go unchallenged: Fanya Kaplan, a member of a rival socialist party, shot Lenin in the shoulder and neck as he was leaving a Moscow factory in August 1918, badly injuring him. 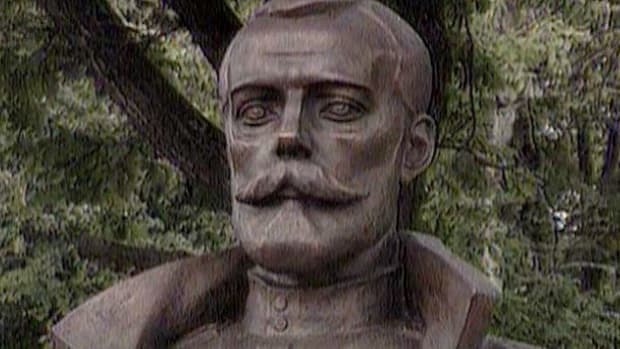 After the assassination attempt, the Cheka instituted a period known as the Red Terror, a campaign of mass executions against supporters of the czarist regime, Russia’s upper classes, and any socialists who weren’t loyal to Lenin’s Communist Party. By some estimates, the Cheka may have executed as many as 100,000 so-called “class enemies” during the Red Terror between September and October 1918. Lenin’s Red Army eventually won Russia’s civil war. In 1922, a treaty between Russia, Ukraine, Belarus and the Transcaucasus (now Georgia, Armenia and Azerbaijan) formed the Union of Soviet Republics (USSR). Lenin became the first head of the USSR, but by that time, his health was declining. Between 1922 and his death in 1924, Lenin suffered a series of strokes which compromised his ability to speak, let alone govern. 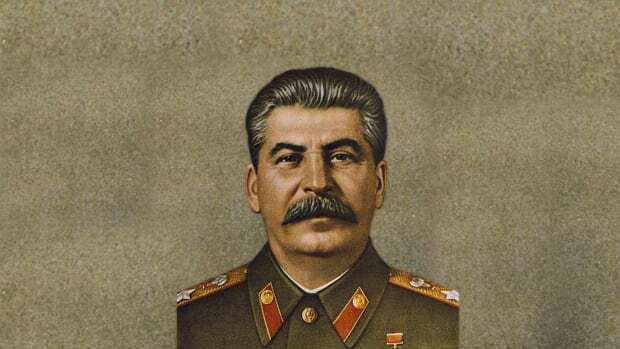 His absence paved the way for Joseph Stalin, the Communist Party’s new General Secretary, to begin consolidating power. Lenin resented Stalin’s growing political power and saw his ascendency as a threat to the USSR. Lenin dictated a number of predictive essays about corruption of power in the Communist Party while he was recovering from a stroke in late 1922 and early 1923. 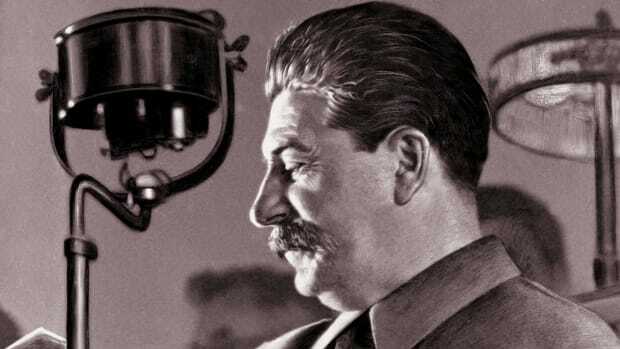 The documents, sometimes referred to as Lenin’s ‘Testament,’ proposed changes to the Soviet political system and recommended that Stalin be removed from his position. The documents became public only after Lenin’s death in January 1924. By that time, Stalin already had come to power. About a million people braved the cold Russian winter to stand in line for hours before paying their respects to Lenin, who was lying in state at the House of Trade Unions in Moscow. 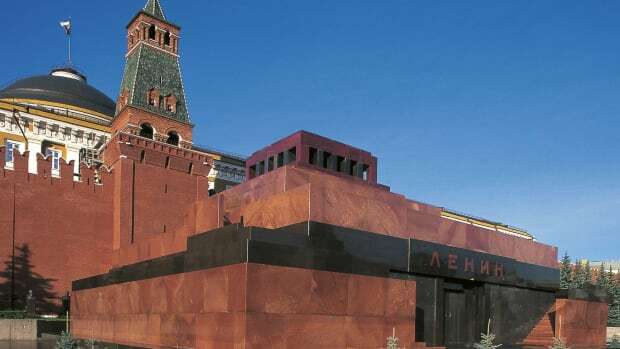 Lenin’s body was moved several times following his death, from a mausoleum in Moscow’s Red Square to the distant city of Tyumen, Russia, for safekeeping during World War II. 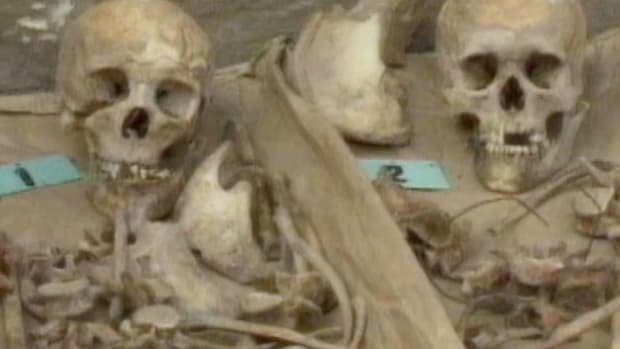 His embalmed body remains on display in Lenin’s tomb in Red Square. 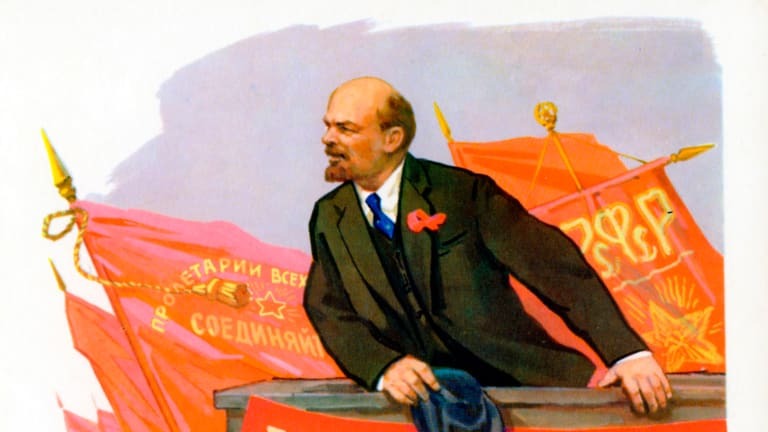 Vladimir Lenin’s Return Journey to Russia Changed the World Forever; Smithsonian Magazine. Secret Police; Library of Congress.